Had breakfast but did not go to train till after dinner. 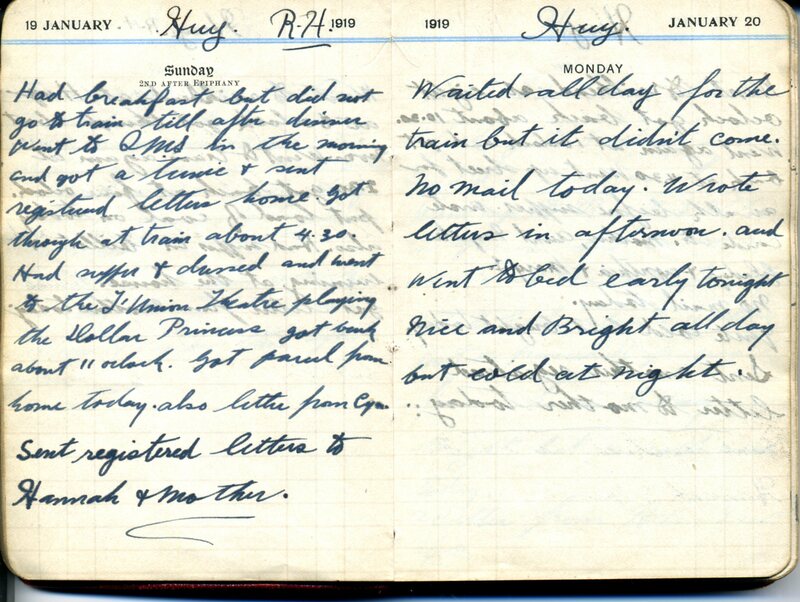 Went to QMS in the morning and got a tunic & sent registered letters home. Got through at trian about 4.30. Had supper & dressed and went to the L’Union Theatre playing The Dollar Princess. Got back about 11 o’clock. Got parcel from home today. Also letter from Cyn. Sent registered letters to Hannah & Mother.